Pittsburgh – – When you talk about the defending Stanley Cup champion Pittsburgh Penguins, Kris Letang is a name that always comes up. Right now the Penguins best defenseman is on the shelf and won’t be making a Stanley Cup appearance. When the injury occurred Penguins GM Jim Rutherford sprang into action and acquired 36-year-old blueliner, Ron Hainsey. Hainsey played for the Carolina Hurricanes in 2013. Rutherford was his GM at the time and he liked what he saw. When he had a chance to acquire him he didn’t hesitate. There’s no way when that happened he envisioned that he would be playing in a top pairing role in his first-ever Stanley Cup appearance and yet that’s what’s happening. 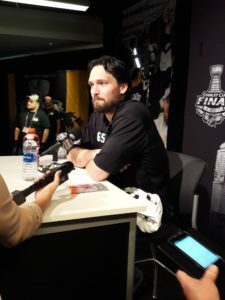 The Bolton, CT native is the kind of player who would be among the early recipients to get the Cup passed to him if the Penguins win the series. He’s well liked in the room and he’s very open and honest in interviews. His five points in 20 games doesn’t mimic Letang’s offense in any way. However, his smart play and puck moving ability does and that’s why Mike Sullivan has been using him in a top-pairing role. Sullivan saw his team dig down deep in Game 1 and knows he has a chance to do the same in Game 2. 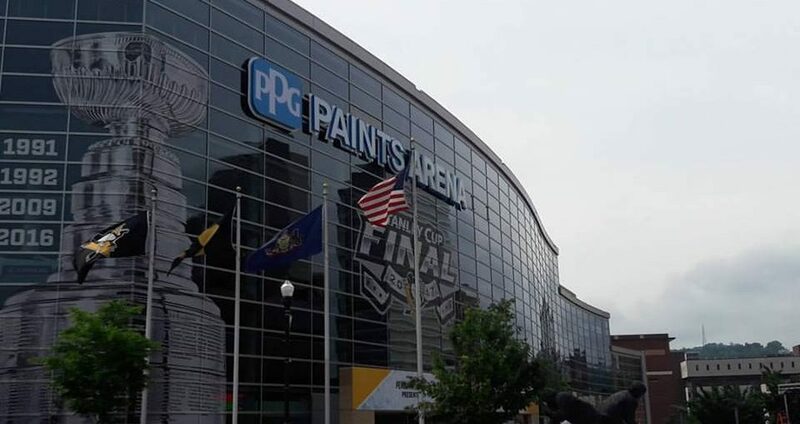 The Penguins may have pulled off a 5-3, Game 1 win but the players weren’t kidding themselves and know they have to improve upon that performance. Game 2 starts at 8PM on NBCSN.